The craftsmanship is superb. I love the little bell sound. It helps me find them in the pocket of my purse. I'm very happy with it. Love these bells I have bought several and am probably will buy more for "just because" gifts. With Guardian® Bells, you can give the gift of good fortune. 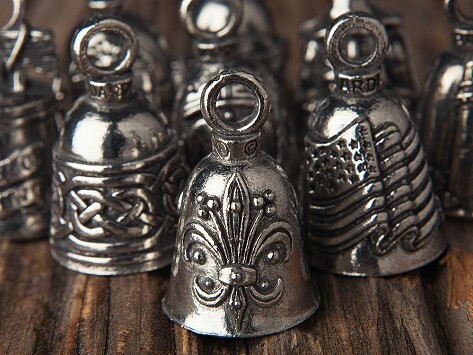 Maker Adam Hizme, a second-generation jeweler, creates these handsome pewter bells in Arizona for the purpose of bestowing good luck upon their recipients. The use of bells as a channel for positive energy dates back to antiquity. 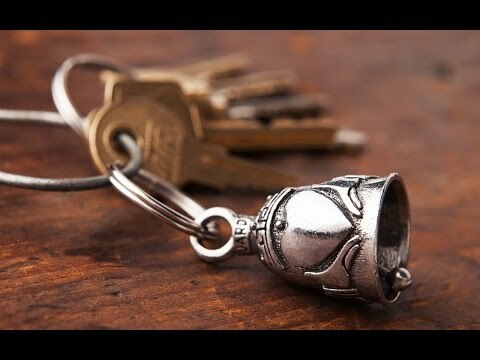 Across cultures, continents, and religions, bells have been rung to banish evil spirits at ceremonies, funerals, and even in everyday life. It’s considered good feng shui to have a bell on your door, which acts as a beacon for welcome news and prevents bad energy from entering. On the other end of the spectrum, many serious bikers attach bells to the bottom of their rides—a decades-old custom believed to ward off mishaps and mechanical failures. Thanks to Guardian® Bells, you can grant this tradition of protection upon anyone. Attach one to a backpack, keychain, boat, locker door, or anyplace else. According to legend, the bells have twice as much power when given as a gift. Choose a design that fits your loved one’s style, and present them with a double dose of good luck.